Well, if SHE can do it…. We were having a dinner party, and for dessert I had planned to make lemon meringue pie. Knowing this in advance, my seven-year-old daughter was very disappointed when I announced that I would make lemon bars instead. 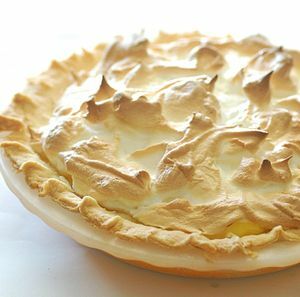 When she complained, I explained that lemon meringue pie is difficult and it’s been many many years since I’ve made one. Lemon bars would be much quicker and simpler.